DEXIM has a fleet of four trawlers, duly equipped with a technology of hake fishing of high quality. The catching of hake is daily and are located a few hours from the port of Paita, a situation that allow us can process a high quality product. 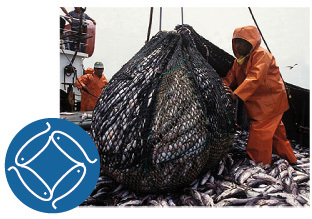 Other species (giant squid, Loligo squid, scallops, anchovy, shrimp, etc..) Are purchased from small boats that fish in the area and that comply with the quality requirements in the company.